When my kids (twins) were in the first standard I asked them what their favorite subject was; pat came the reply “Hindi”. In the 2nd standard it was “English”, “Maths” in the 5th grade and currently in the 6th grade they drive me crazy at times in the house with their love for “Science” experiments. When I reflect back on my school days it was clear that I had also experienced something similar many years ago. And I realized it was never about the subject but about the love, care and teaching methodologies of the teachers which ignited my interest in various subjects. 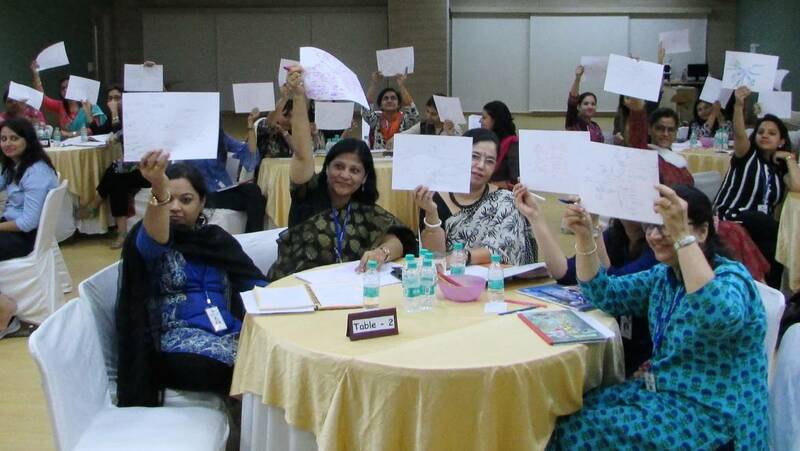 During my last Mind Map workshop, I came across a wonderful batch of highly motivated teachers eager to learn and empower themselves with Mind Map, the radiant thinking tool. Even though most of the teachers were new to the concept of Mind Maps by the end of the session they had started designing wonderful Mind Maps. It was clear that they had taken to Mind Mapping like fish takes to water ! From the extremely encouraging feedback received , I sincerely believe these talented teachers will be carrying forward the torch of mind maps to their students and beyond. Looking eagerly forward to my next workshop with teachers.. Check out some of the wonderful moments with them here. Click here to book a one hour complimentary lecture on Mind Maps for learning and teaching better for your school/college by contacting us here. When the going gets tough...try Mind Mapping ! Memory & Learning techniques only for Students?? Getting Your Organisation Chart Right..
"It was amazing to see how difficult situations can become easy to visualize & understand using Mind Mapping." - Rupali Chaudhary,Air India Ltd.
"Maneesh is a very articulate & interesting speaker. The best part is that he is passionate about the subject." - Siddharth Raina ,Sun Pharmaceutical. Subscribe now & get a copy of the e-book - “Unleashing Organizational Creativity for Business Excellence"
Access to 40 Mind Map templates to kick start your Project Management Journey. 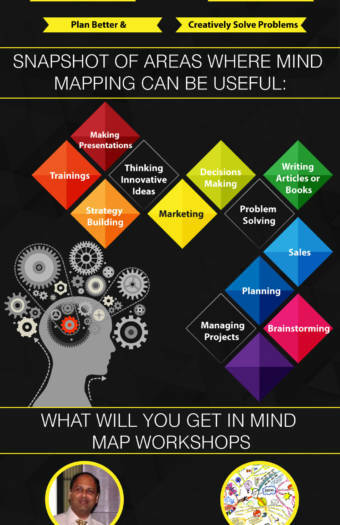 1 free email consultancy by Maneesh Dutt on a Mind Map made by you.